Chopta which is also known as mini Switzerland has now become a popular tourist destination since last few years. It is located in Uttarakhand state. One can find the vast variety of fauna and flora there. There are however very few hotels in Chopta which you cannot compare with the best luxury available hotels available in other destinations but you can find a comfortable place for accommodation with best prices. Chopta is now becoming popular among birdwatchers due to abundance of birds. By Flight : Jolly Grant airport is the nearest airport which is well connected to delhi airport. You can easily avail taxi services from there to reach Chopta. By Train : Rishikesh is the nearest railway station to Chopta which is at a 202km away from Chopta. One can have buses, taxis from rishikesh to reach Chopta. By Road : Chopta is well connected from all the major cities of Uttarakhand. Buses and Taxis to Chopta are quite easily available from major destinations of Uttarakhand like Rishikesh, Pauri, Srinagar, Gopeshwar etc. Chopta is located on the road linking Guptkashi with Gopeshwar. Tungnath Shiva Temple (3Km.) 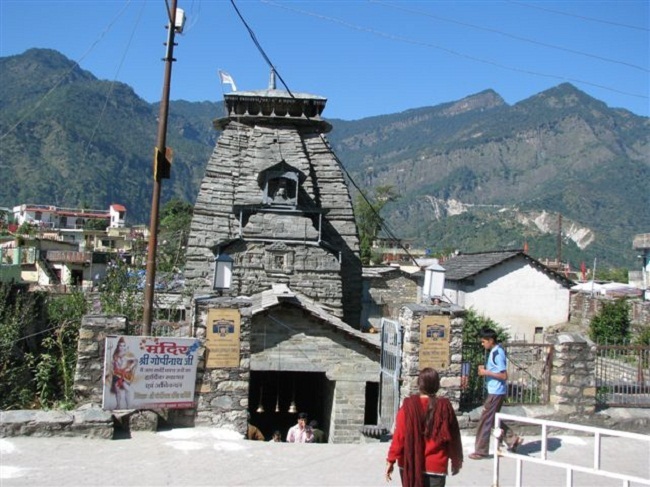 : It is located at height of 3680m above sea level and is the highest temple of the Panch Kedar. Gopeshwar (39Km. ): It is situated at an elevation of 1500 m above sea level is a picturesque, peaceful place with pleasant climate. Kanchula Korak Musk Deer Sanctuary (7Km.) : On the Chopta-Gopeshwar road, Kanchula Korak Musk Deer Sanctuary is famous for breeding musk deers. It covers an area of 5 sq. m and is an one of the best place to see rare Himalayan wildlife. It is also popular for its dense forests and vast variety of flowers. Ukhimath (31Km.) : This is considered as the winter seat of lord Kedarnath and its been worshipped here during the winters when the temple of Kedarnath remains closed. The best known trekking routes in the Chopta region are Chandrashilla, Tunganath & Devariyatal. There are many treks and trails cutting through jungles and grasslands. Hope this would help you guys to explore more about Chopta and I hope you enjoyed reading this post. You can find chopta even more interesting place the moment you spent few days there.